It probably wouldn’t surprise you to hear that keeping your mind active is a way to prevent dementia and Alzheimer’s disease. Researchers from the Harvard T.H. Chan School of Public Health analyzed a dozen peer-reviewed studies that examined the relationship between late-in-life cognitive activities and the incidence of Alzheimer’s disease or other forms of dementia. But what kind of cognitive activities are best? And why, exactly, do they make a difference? “The Synapse Project,” showed that familiar activities like listening to classical music or doing word puzzles won’t strengthen your aging brain. Where’s the challenge in that? But, older adults who were asked to take part in activities where they learned a new skill (digital photography or quilting) showed significant increases in memory after spending fifteen hours a week breaking out of their comfort zone. In other words, in order to preserve cognitive ability, particularly memory, it’s important to engage in new, unfamiliar and even difficult activities on a regular basis. Here’s why we all need some stress in our lives to remain mentally sharp. When we remember something, like where we put our car keys, we’re not reaching in and retrieving that memory from just one part of our brain. We’re constructing the memory from bits and pieces of information that are stored in an “ensemble” of brain regions. Lisa Feldman Barrett, a University Distinguished Professor of psychology at Northeastern University, calls this group of brain regions the “superager ensemble.” (The term “superager” was coined by Northeastern neurologist Marsel Mesulam to refer to people 65 and older with extraordinary memories, on par with that of a 25-year-old). 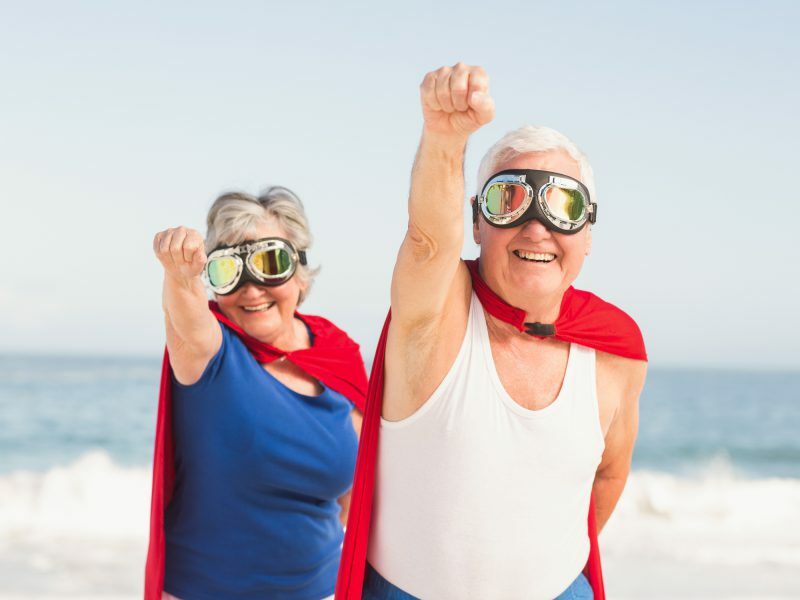 In the brains of “superagers,” regions such as the hippocampus, prefrontal cortex and anterior insula are actually thicker and more developed. It seems that challenging the body and brain with difficult or new tasks, both physical and mental, actually makes the “superager ensemble” places in our brain physically stronger and better connected. These same brain regions do other jobs as well. They assemble thoughts and help us make decisions. They help us perceive sights, sounds and smells. And they even put together our dreams. And, having a “superager” brain protects your physical health. The same brain regions that control your decisions and dreams also regulate your organs, your hormones and your immune system, and help predict how much energy your body will need throughout the day. While there are no guarantees, there are definitely some things you can do to increase your chances of developing a “superager” brain. Exercise regularly. Being physically active wards off all sorts of things: heart disease, obesity, diabetes. Demanding physical exercise seems to thicken and connect those same brain regions that help preserve your memory. One long-term study showed that exercising starting at age 60 is a predictor of intact cognition at age 90. Eat well. Numerous studies have pointed to a Mediterranean diet as a way to avoid cognitive and other age-related declines in health. Get enough good sleep. Sleep is essential to memory. Numerous studies show that memories are formed and consolidated during deep sleep, while still other research connects poor sleep with Alzheimer’s disease. Sleep deprivation can have devastating health consequences as well. Change it up. Do something you’ve never done before. Change your morning route to work. Travel to a new place. Talk to someone whose ideas you don’t agree with. Do something mentally strenuous every day. The key is to feel uncomfortable, out of your comfort zone, for at least a while. Pick a topic you’ve always wanted to learn about, and study it. It could be learning a language, or learning about chemistry. Editor’s note: One of the biggest dangers to anyone’s brain is a drug that 38 million Americans take every single day. It robs the brain of an essential nutrient required for optimal brain health. And it steals memories. Are you taking it? Click here to find out!